One of our residents, Sam, has been participating in the Shooting Stars 4-H Club this year. He has had to get up early all summer to feed and groom his animals. 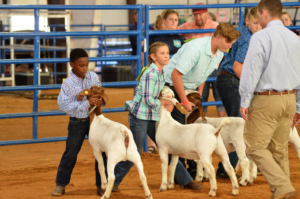 He has had to learn how to work with pigs, sheep and goats, care for them and learn how to show them. 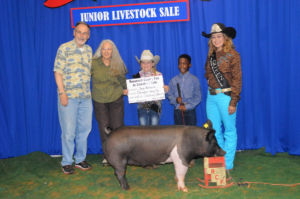 Sam entered his animals in the Roosevelt County Fair this summer, earned a buckle for Showmanship, won awards and was able to sell his animals at the auction. 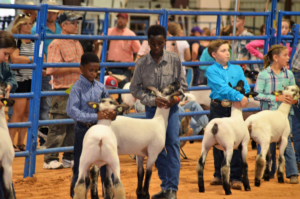 But, one incident during the Sheep Show set Sam apart from the other competitors. One young man was having trouble controlling his lamb. 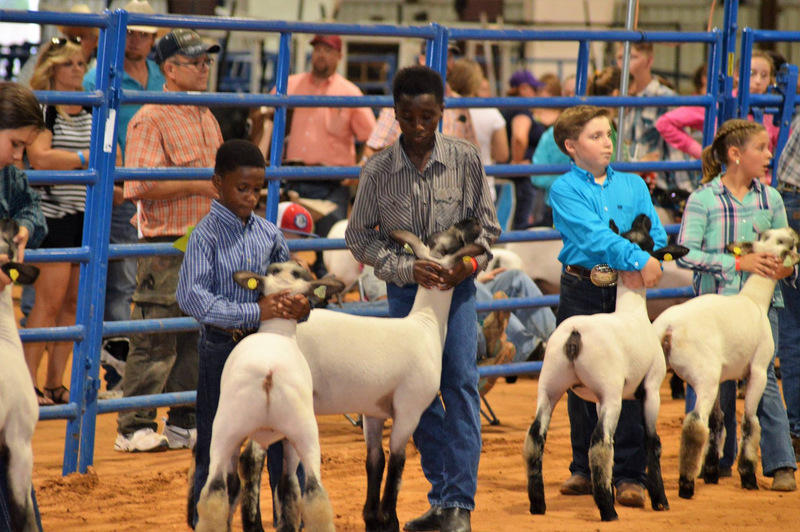 The lamb kept getting away while the other showmen were lined up to showcase their lambs. 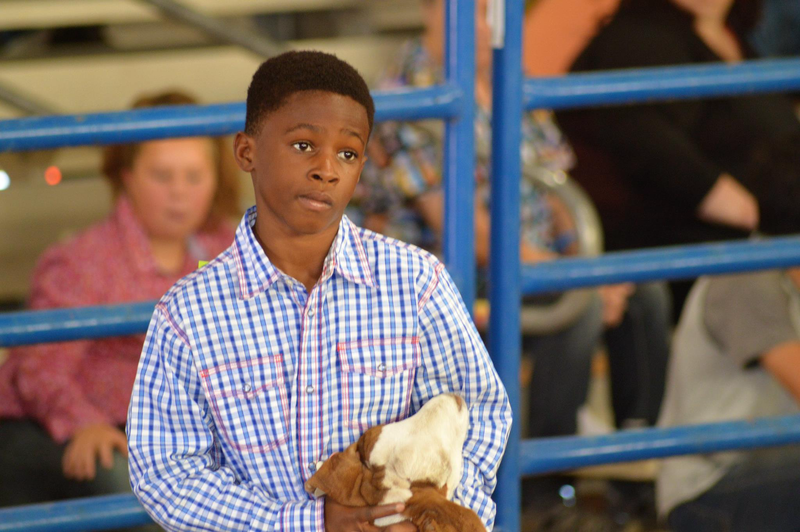 This poor young man was having such trouble that his lamb would escape his grasp and run around the arena. 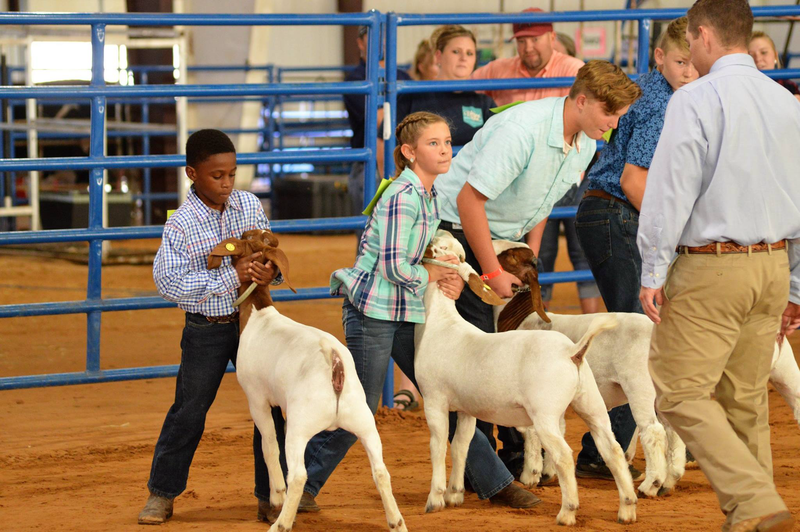 The judges and other adults in the arena would try to catch the lamb, but the lamb just kept escaping their grasp. As the lamb passed by Sam, Sam was holding his own lamb and getting ready to show. Sam calmly reached out, took the other boys lamb under his arm and held both lambs until the young man could catch up and retrieve his lamb. Sam is a great example of the skills and values we try to teach here at the Home. He was calm under pressure, helpful to others and graceful in both his victories and losses during the fair. We are proud of you, Sam!